Rules for the LAB Marketplace <<<<<<Read Before Posting! Also, if you are listing items for others for a fee (like a sales agent or broker) you are not allowed to use the marketplace for those items. You can list For Sale, or Want To Buy any type of Production equipment (including lighting, staging, backline, comm, test, recording, etc) not just audio. >>>>>>>NOTE>>>> If you do sales, but also have production services, you can list your used production gear here, just not any equipment from the sales side of your business. Real names are required to post here. Your real first and last name must be in your handle, as well as your profile. Postings without both first and last real names as the handle will be deleted. If you list one for sale item, and your item has sold within 24 hours, place the word SOLD in the title, and edit your post and delete the text. That way the moderators can delete the post. If you list more than one item in a post and certain items have sold, please edit your text to reflect what items are sold, or simply delete the sold items from your description text. After 24 hours, you will lose the ability to EDIT your posts. Simply reply to your topic to add items for sale, mark items as sold, change pricing, add pictures, etc. Please post your location if you are selling an item. Our software lets you add one picture to your post. If you are selling multiple items, you can add a reply to your thread and show more than one picture. An alternate way to get pictures (even multiples) into your post is to use a service like photobucket.com. Its free! You can upload pictures to their site, and link to the picture in the posting. Here is an example of a link to a pic. 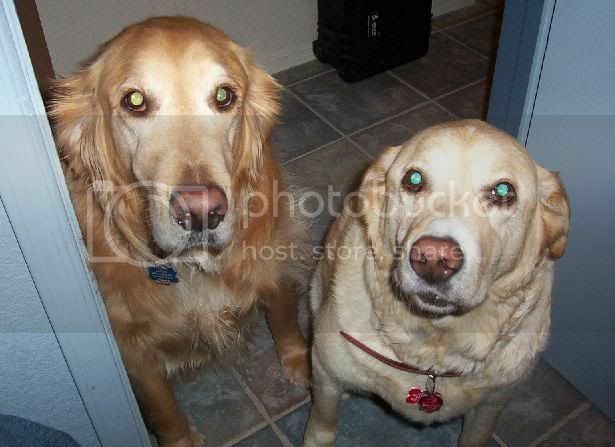 My dogs Baily (on left) and Cougar. In addition, the Marketplace is not a discussion forum to debate the merits of gear, applications, pricing, etc. You can certainly reply to a poster and ask questions about the equipment, age, condition, sales or rental info, shipping, warranty, etc or request more info, pictures, etc. just keep the reply on track, and not turn the thread into a discussion. RULES ABOUT BUMPING YOUR POST>>>> We have some new rules about post bumping. (Bumping is when you reply to your own post for the sole purpose of sending the post back to the top of the page) You may only bump a post TWICE, and you must have a WEEK between bumps. In addition, you may not REPOST the items for sale instead of bumping. You can only repost an ad after one month. This does not stop you from replying to questions about your items, or editing the ad to reflect new prices, sold items, etc. If you have any questions about the rules, or a current posting on the board, please feel free to contact a Moderator.